Happy New Year! I wish you all have a great 2013! This is my new artwork showing a child with a big fish. 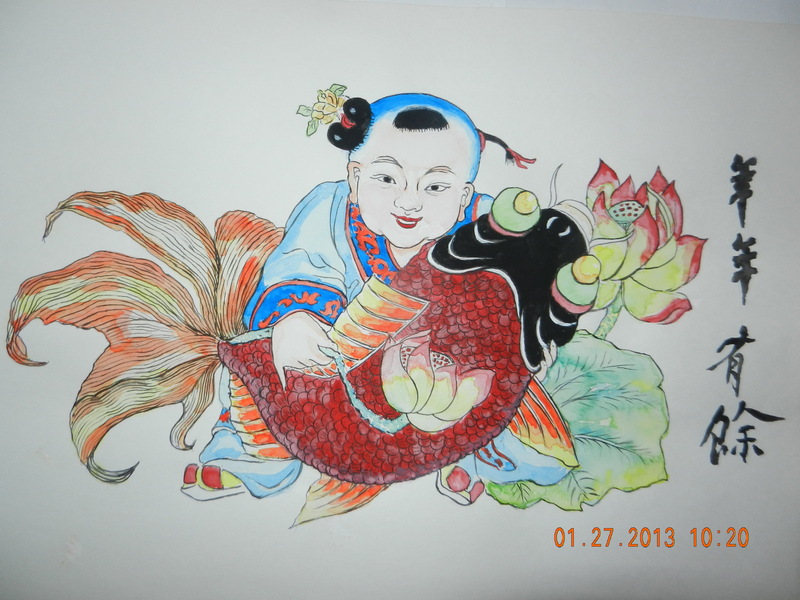 This is a typical image for the good luck of the Chinese New Year. When Chinese get together for the Chinese New Year’s Eve dinner, we like to have dishes symbolize good luck and good fortune. “Fish” pronounces the same as “surplus” in Chinese. That’s why we will have fish at the dinner and will intensionally save some for the next day, which obviously also means we are having surplus for the new year. And now, I wish you all have surpluses every year.